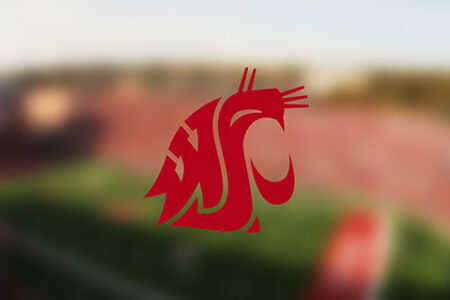 The Washington State University Cougars, located in Pullman, Washington, are a member of the north division of the Pac-12 Conference. 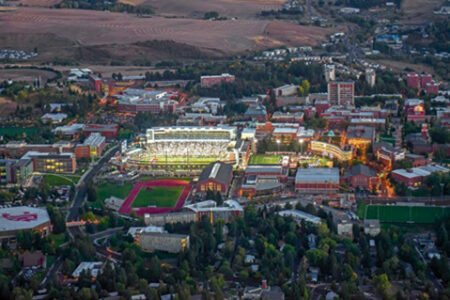 Bleeding crimson and gray, the Wazzu Athletic Department is comprised of 17 collegiate level athletic sports programs. The University has several notable alumni: Paul Allen, Microsoft co-founder, Seattle Seahawks owner, and minority owner for the Seattle Sounders FC; Keith Jackson, legendary college football broadcaster; Edward R. Murrow, the father of broadcast journalism; Mel Hein, Pro Football Hall of Famer; Jack Thompson, the “Throwin’ Samoan,” set six league and conference records as Coug quarterback; Drew Bledsoe, Coug quarterback, first pick in the 1993 draft, highest draft position by a Cougar player; Klay Thompson, prominent starter for the NBA’s Golden State Warriors; and John G. Olerud, National Player of the Year. In college football’s rivalry week, a game where tensions and loyalties run high, the WSU Cougars and UW Huskies collide in the annual Apple Cup. Seen as the biggest rivalry event of the football season to the Washington State Cougars, the Apple Cup is one of the most anticipated and talked about events in Washington sports. 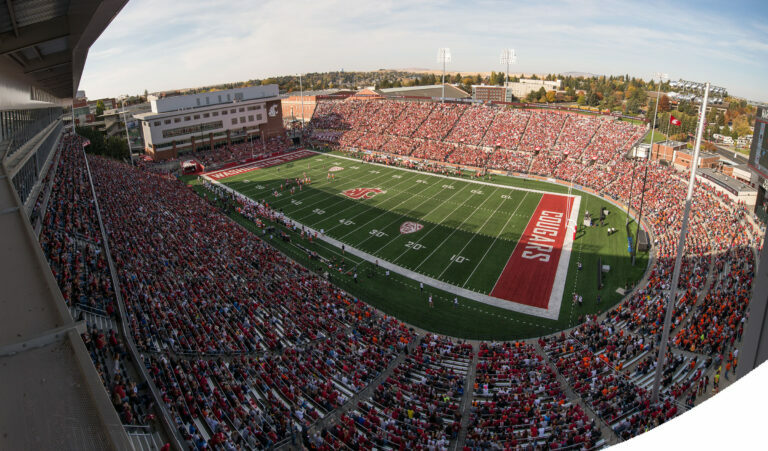 Named after Clarence D. Martin, former governor of Washington, this stadium, with a capacity of 35,117, is home to the Washington State Cougar football team. During football season, the stadium is filled with a sea of crimson and gray fans cheering on a Cougar victory. Every stadium has their own tradition, the Cougars are no different. After a Cougar first down, the announcer says, “…and that’s ANOTHER…,” and the crowd responds with, “…COUGAR FIRST DOWN!” in unison. Recently (2011-2014), the stadium went through a three-stage renovation project: stage one, completed in 2012, added premium suites and clubs seats; stage two, added a 75,000 square foot state-of-the-art football operations facility; and in the final stage, a new video display, 36 by 73 feet, 112 percent larger than the previous, was installed. Home to both the men’s and women’s basketball teams, Beasley holds 12,000 fans for basketball games, and 12,500 for concerts. 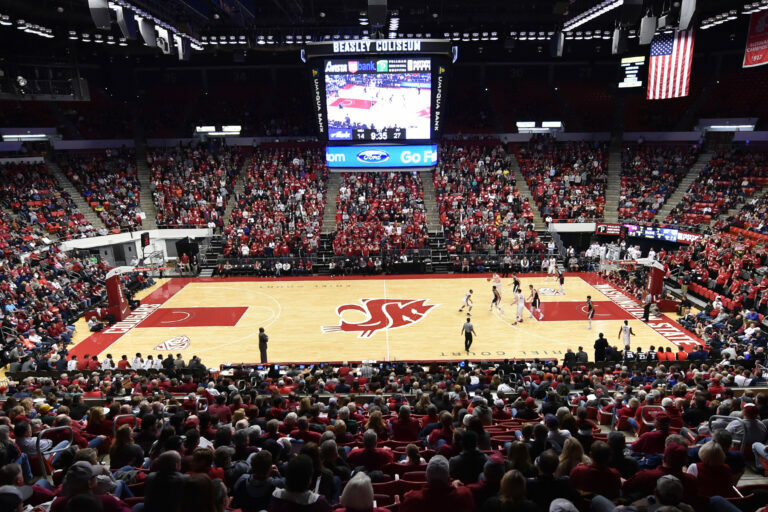 The Friel Court at Beasley Coliseum was dedicated in honor of long-time WSU Basketball coach Jack Friel, who guided the Cougs to the 1941 NCAA title game. The center hung scoreboard, LED video display 11 feet high by 15 feet wide, was completed and in use for the 2011-12 basketball season. Beasley has also hosted the first and second round NCAA West Regionals in 1975, 1982, and 1985, and an NBA exhibition game between the Seattle SuperSonics and Portland Trailblazers. 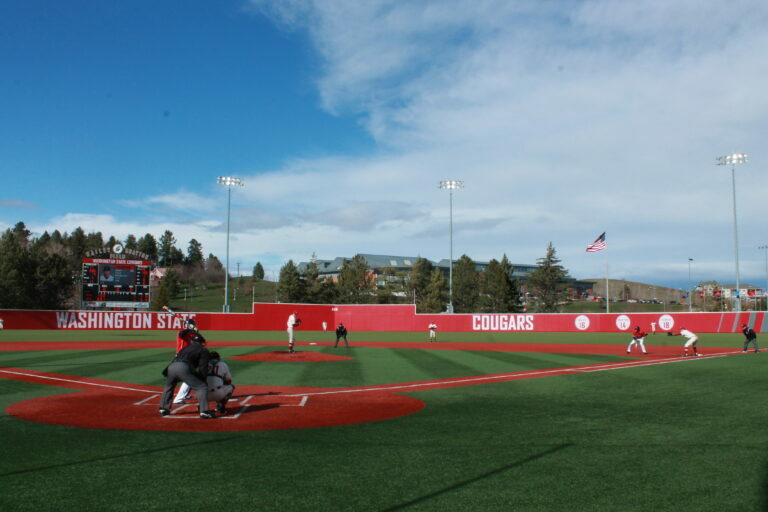 Named after longtime Coaches Jack Bailey and Bobo Brayton, the Cougar baseball stadium can hold 3,500 rowdy baseball fans at capacity. In 1988, the stadium introduced a “Walk of Fame” for fans to look back and reminisce on past athletes and baseball moments. The Cougar baseball team has appeared in four College World Series and 16 NCAA Tournaments, and has had 32 former players appear in Major League Baseball. Big name Cougar MLB players: Ron Cey, 6x All-Star and 1981 World Series MVP; John Olerud, National Player of the Year; Aaron Sele, 2x All-Star; and Scott Hatteberg.